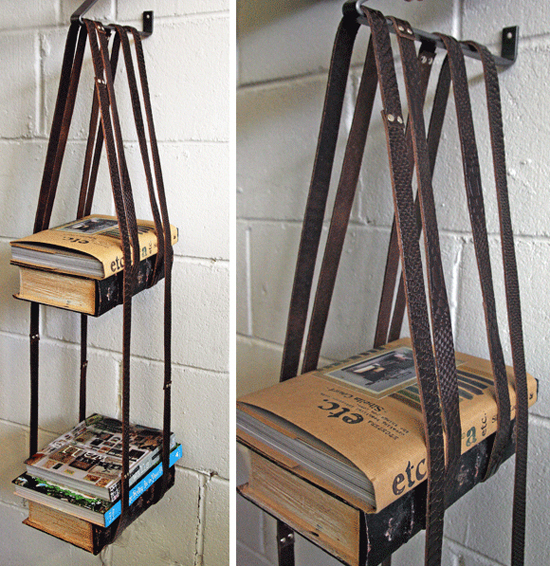 An eye-catching and rather clever book shelf made from leather straps supported by a metallic mounting angle. Made up of two different levels it can be used for books and bottles. From Rockett St. George. That looks so good!!! I love leather and i love books, so together it is an incredible pair ;) Thanks for the post- i gotta try this!